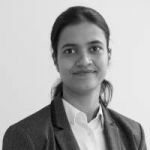 Ranjeeta Mishra joined UNU-IAS as a JSPS-UNU Postdoctoral Fellow in September 2017. She is working on a project which broadly deals with the implementation mechanisms and governance of the Sustainable Development Goals (SDGs) at national and regional levels. Her research at the UNU focuses mainly on issues related to food security and the SDGs in Asia. She holds M.Phil. and Ph.D. degree in economics from Jawaharlal Nehru University in New Delhi. Her areas of interest include development issues related to urbanization, migration, nutrition, and agriculture. Before joining UNU-IAS, she worked as a Research Associate in a Bill and Melinda Gates Foundation (BMGF)-funded project at the Indira Gandhi Institute of Development Research (IGIDR) in Mumbai.